What’s the status of Irish American Museum in Washington? The National Museum of African American History & Culture opened this weekend in Washington, D.C. It raises this question: What’s the status of the proposed Irish American Museum of Washington, D.C.? To be sure, there is a huge difference between the two efforts: the African American Museum is part of the Smithsonian Institution and was supported at the highest levels of the U.S. government. The Irish American Museum is a private effort. It’s backers might take some inspiration from EPIC Ireland, an interactive museum dedicated to the island’s vast diaspora. I visited in July, shortly after it opened in Dublin’s dockland’s district. 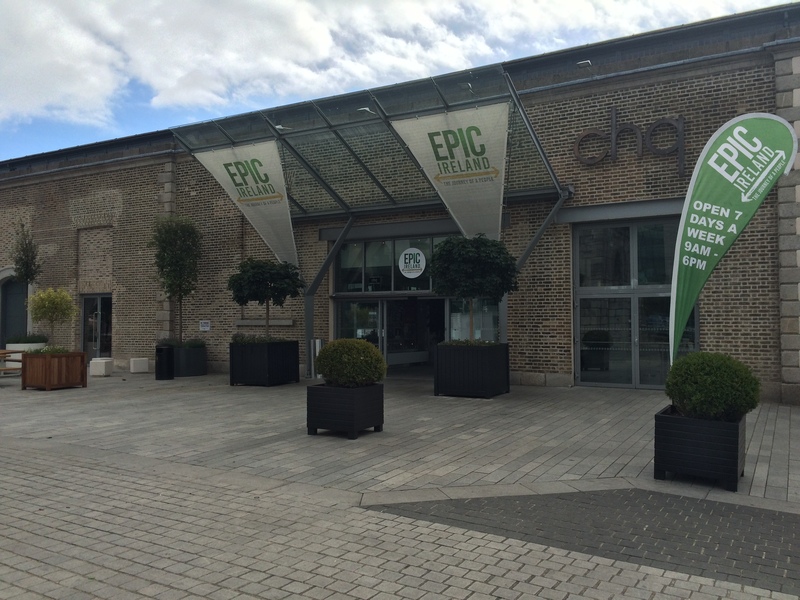 Entrance of EPIC Ireland in Dublin’s docklands district. Former Coca-Cola CEO Neville Isdell spent some €22 million on the CHQ Centre at the heart of the city’s International Financial Services Centre, converting 1820s-era vaulted storehouses below a modern shopping center into 21 galleries with topics such as politics, arts and sport. The Irish government withdrew its own plans to support the museum, saying that no capital funding was available, according to The Irish Times. The African American Museum tells a critical part of American history and is an important addition to the National Mall. The contributions of the Irish in America are no less important, their stories no less compelling. More than 33 million U.S. residents claim Irish heritage, the Census Bureau says. So what’s the status of the Irish American Museum? I’ve reached out to project leaders and will report their reply. Until then, here’s my 2014 Washington Business Journal story about their effort. 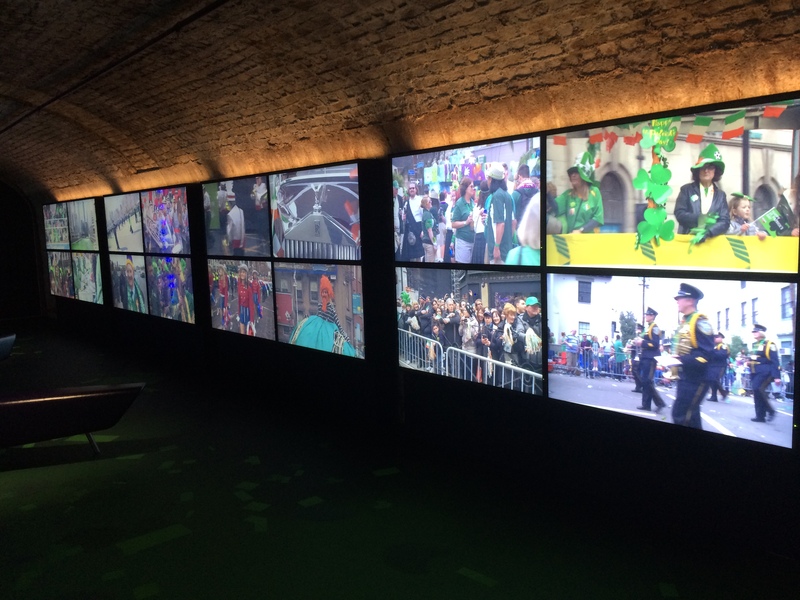 Video screens inside EPIC Ireland show images of St. Patrick’s Day parades around the world. This entry was posted in Arts & Culture, Business & Environment, History, Irish America and tagged EPIC Ireland, Irish American Museum on September 25, 2016 by admin.